Gina and Jorge Pimentel have been in the real estate industry for 20 plus years as recognized leaders for building a highly successful Team. 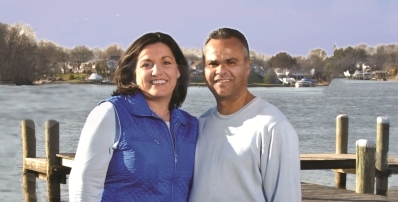 Gina and Jorge's focus is to provide a Full Team Service versus a Volume approach to ensure their TEAM's clients expectations are exceeded and to subsequently work with sales personnel to ensure our listings receive maximum exposure. Jorge Pimentel is a the licensed real estate professional TEAM Leader and Certified Distressed Property Expert (CDPE) with over 15 years meeting with and evaluating the needs of the potential seller. Jorge’s role includes preparing comparative market analyses and presenting our unique selling proposition to our clients. He is responsible for assessing the target sales strategy to determine whether the net sale result will meet the market demands or whether the value may create a short fall in values. In the distressed sale, he is responsible for compiling all the accurate documents necessary from the Seller to comply with the lender guideline restrictions involved with the sale and acting as liaison between the Lender appointed Negotiator and the Seller. He is the main point of contact for our Sellers. He also oversees the transactions through to closing. His vast knowledge and listing experience brings an added dimension to this team. Gina Pimentel is a licensed real estate professional and Certified Paralegal and serves as our Lead Client Service Agent specializing in actively and aggressively finding the perfect property for our clients and maintaining and managing the TEAM Seller's properties with exposure. With a focus on what the Buyers and Investors interests are, Gina previews over 25 homes a week for our TEAM clients. Her role is to assist the TEAM by maintaining our listings ensuring the highest level of exposure. Yan Xu is a licensed real estate professional and has been associated with our Team since 2009. Yan specializes in actively finding the perfect home or investment for our Chinese International Investor clients. Her international relationships and involvement brings added exposure to the TEAM listings. This aspect of the TEAM was established to maintain the ever increasing need of maintenance of the TEAM's investors or “Relocated Sellers” holding properties in Maryland. This division is responsible for day-to-day maintenance of our rental portfolio and finds quality tenants for our owners with the same level of knowledge and professionalism that exceeds our client's expectations. Both Seller's and Buyer's working with the TEAM benefit from the service provided through Property Management.